Ultimate Sports Insider: Who is your sweetheart? 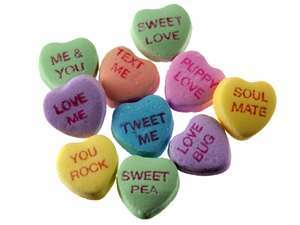 One of the all time great candies is everywhere this time of year - The Sweetheart. They're on desks and in grammar school goodie bags. The candy itself is reasonably tasty but that's not why it's existed for more than 150 years. It persists year after year because of the short sayings written on the hearts - you could argue Sweethearts are the original Twitter! Say everything necessary in two words or less. Its hard to find someone who doesn't like reading these things. If you were to design your own sweetheart and give a personalized note to each of your staff, what would you write to them? 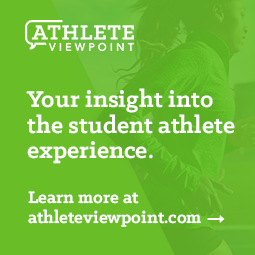 What would you write to each coach? Your compliance director? Your equipment manager? Your athletic trainers? If you want to tell them something in a maximum of two words, what would it be? So start the ball rolling. Forward someone this article and explain what you are doing. Tweet it, post it to Facebook or just comment below but take 10 seconds to send it and use two words to say something very direct. You might be surprised at the results.